Bioidentical hormone replacement therapy, or BHRT, typically consists of several forms of estrogen, progesterone and some androgens. Laboratory testing and an extensive medical evaluation are used to formulate these components in the precise doses needed by each patient. Throughout the process of treatment, we closely monitor our patients’ levels to ensure that proper hormone levels are maintained, and will make adjustments to the dosage as necessary. Together, the three forms of estrogen make up the core of any treatment referred to as “estrogen replacement therapy”, or ERT. It is important that these compounds be bio-identical, as synthetic varieties can cause unwanted and harmful side-effects. It is not only the total quantity of estrogen that changes with age, the levels of the three types alter in relation to each other as well. Pre-menopause is typically marked by a reduction in estriol and estrone, leaving estradiol the primary form present during this phase. Estradiol is produced chiefly in the ovaries. 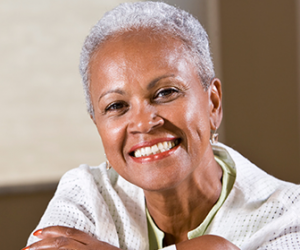 After menopause, this balance shifts, leaving estrone the most prevalent variety. This form of estrogen is produced by chemical reactions.